This Fall we are mixing it up. From gem tones to florals to animal print and plush textures fall is anything but ordinary this year. To maximize your look we've added a guide to layering classic prints for a modern twist. Pop into Azbys and we can help to get your fall wardrobe started! First Look: Emerald is one of the season's hottest colors. 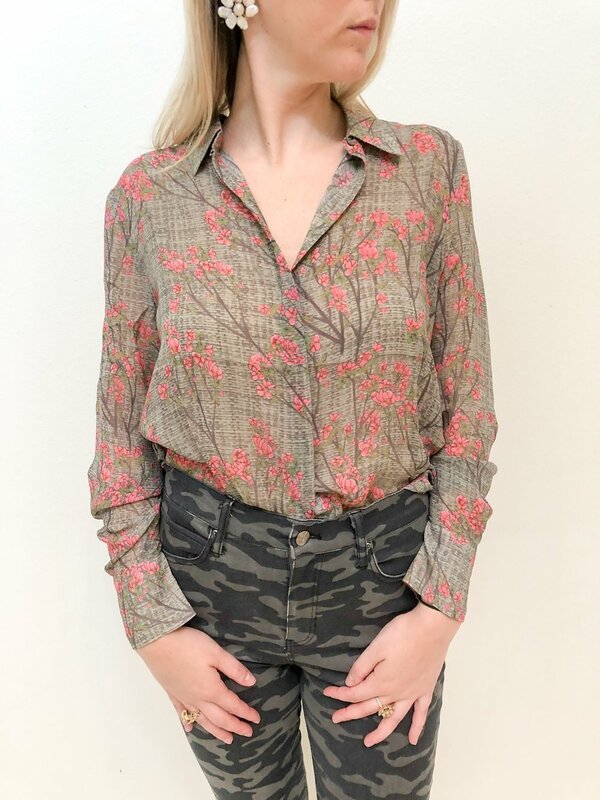 Pair this floral bow neck blouse with a more neutral camo denim for a sweet and sporty look. Second Look: Plush velvets and furs are having a big moment this season. Add this embroidered blazer to your ensemble for unexpected texture. Third Look: Vintage inspired everything is a huge player this season. 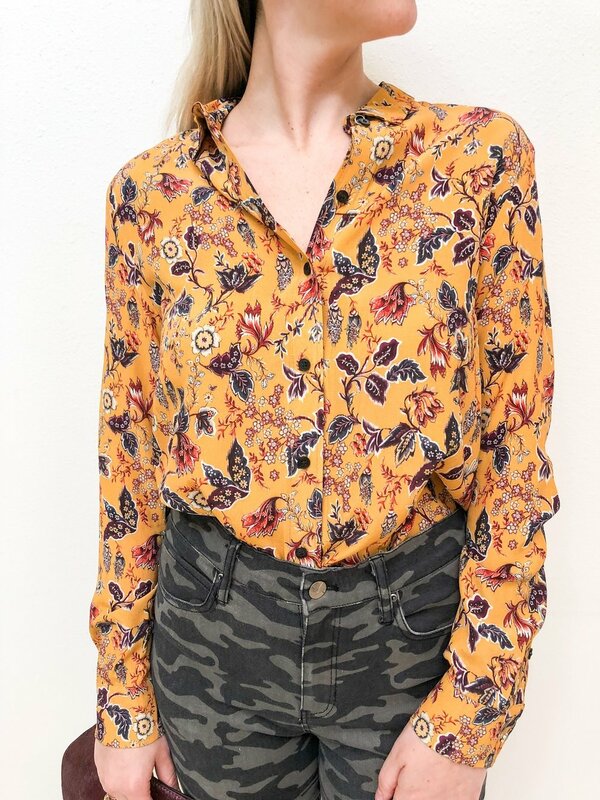 This marigold and fall foliage print is like autumn in a blouse. Fourth Look: Animal print is a classic fall staple. Mix to perfection with this floral ruffle mini for a match made in heaven. 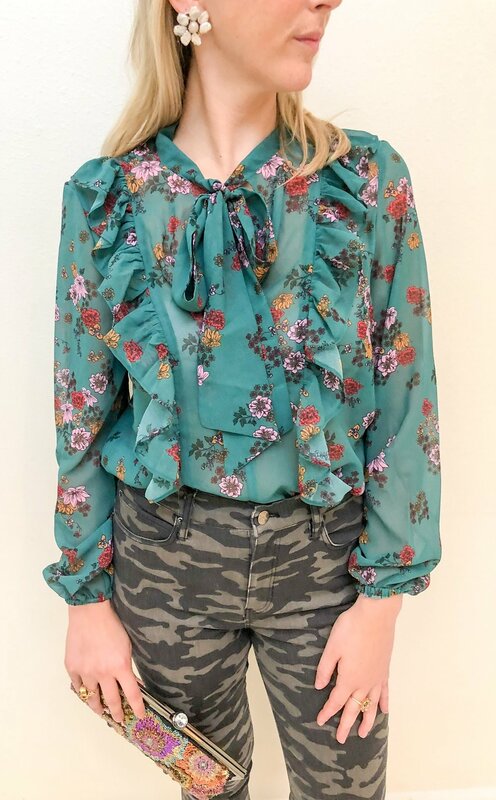 Fifth Look: Another top that makes the case for fall florals over spring florals.